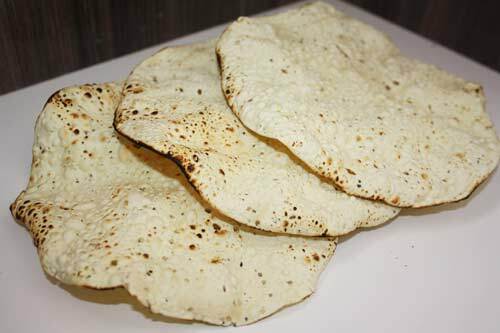 The Brits know it as Poppadum. Pappadum is a Malayalam word for the same food item with a unique local taste to it and it is inevitably deep fried in oil. In Kerala, it is inevitably fried in coconut oil which gives it a local flavour whereas the same fried in other oils also serve the purpose well. In the homes of relatives from my maternal side, this is what we got as children and would fight over for extra portions. In the homes of my relatives from my paternal side, we got fried appalams, not quite as tasty as the pappadums but very much in demand nevertheless. The pleasure of getting full round ones and then breaking them into pieces to be mixed with other rice combination dishes is worth dying for. Or should I say, living for? What you get in most Tandoori restaurants however is a larger version of a similar concoction with powdered pepper giving it a special flavour. It is usually roasted over a fire before serving, and can also very successfully be roasted in a microwave oven. This is what I have mostly in my own home now as I developed a taste for it having lived almost all my life in the Northern parts of our country. Like the varieties of papads, the range of pickles that you can get across the country is simply mind blowing and for me right on top in terms of choice is what we call Vadu Mangai pickle. This is common to both my maternal and paternal heritage and both sides relish this. I still remember my childhood summer days when ladies of the household would shop for these special unripe mangoes to pickle for the rest of the year. My sister has just sent me a bottle with Ranjan and the packing itself deserves a Nobel prize. Another mango variety used to make pickles is the avakkai which is stronger with red chillies being the most important ingredient but more popular in Tamil Nadu and Andhra Pradesh than anywhere else, though the commercial varieties are now available all over the country to satisfy the diaspora. By now, you would have come to the conclusion that I am very fond of both the papads and the pickles and you are right. I love to have them with my lunch and these are always available at home for not only me but also for all guests who care to take off into orbit. I have however taken a lot of pains to write this blog post to inform those of my friends who have always thought that I was nuts to have these two elements in my food without fail, that there is a sound medical reason for their popularity. “Papad works as a digestive; pickle works as a therapeutic culture of gut-friendly bacteria and both are super yummy. 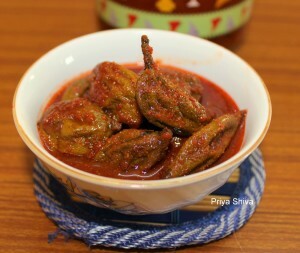 They are part of a wholesome meal and if you learnt the art of making them from your granny, you would also know the right way (proportion and quant­ity) to eat them.” I know how to make both, but have not made in decades simply because excellent quality homemade varieties are available in all food stores all over the country. Don’t believe me? Just read what Rutuja Diwekar has to say about these two wonderful inventions. This entry was posted in Food, Medicine, Tambrams and tagged Appalam, Avakkai, Papad, Pappadum, Rutuja Diwekar, Vadu Mangai. Bookmark the permalink. 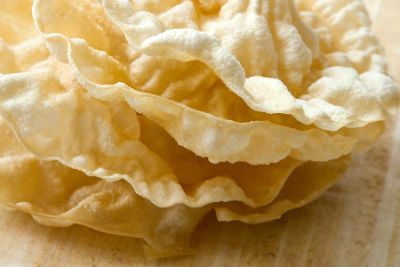 14 Responses to The Papad And The Pickle. we have only one. it is family owned. the name is misal. believe it or not i have never eaten there. NOW i cannot wait to go. i will see if they have the papad. i will forego the ‘no grain’ for that special occasion! Good one mate. Thank you. Shackman, when you next go to the Tandoori fellow close by ask for some serious Indian pickle and you will know the difference between Kosher and our fiery stuff! Okay, I jumpin’ through the screen and takin’ a bite of everything. One thing though, is it all spicy? My tummy doesn’t take kindly to foods with a bite. You bet is is all spicy. What is the point of eating bland food? 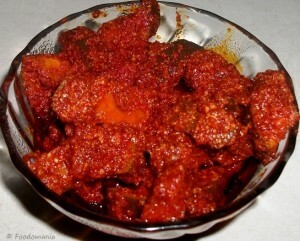 Have you tried the Hyderabadi Mango Pickle, Ramu Bhaiya? I am sure you have. My mouth is salivating as I write this comment. 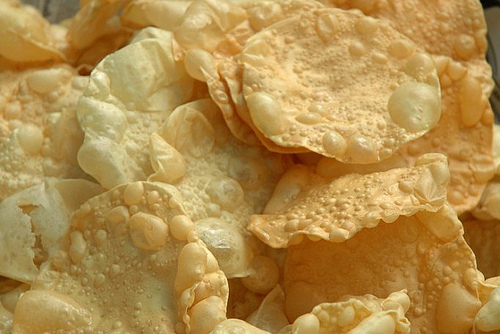 We enjoyed the papads made of urad daal and crushed peppers, roasted over open fire, as a general rule at my household growing up. There was a mango tree in my in law’s place the mango from which was good only for making pickles. My mother in law, an original Telangana Telugu if ever there was one, would make a fresh lot every year and Rasheedbhai, you would have taken off into orbit if you had had a bite. Mother recently posted..What can I do? Yes, feast for the eyes as well as for the palate. Canada appears more and more interesting WWW!